ATLANTIC CITY, NJ -- Contestants in the 2016 Miss America pageant sporting butterflies, snowflakes, dice, potatoes and dinosaurs on their shoes hit the Atlantic City Boardwalk Saturday evening for the annual "Show Us Your Shoes" parade. 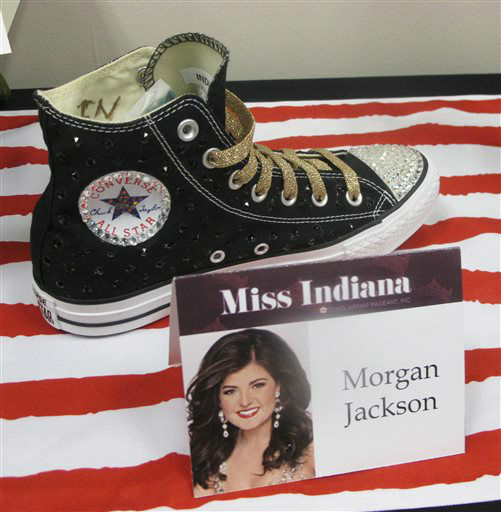 Most of the shoes have designs specific to their contestant's home state. 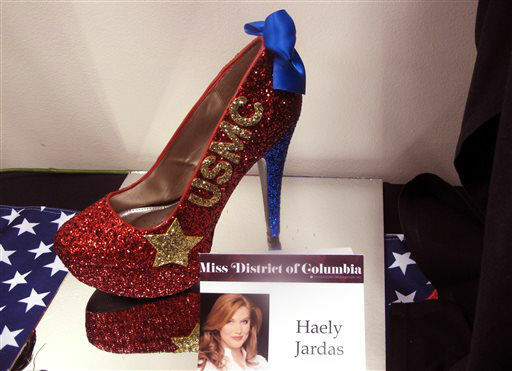 Miss New Jersey, for instance, has dice and Monopoly money on her shoes, in a nod to the pageant's Atlantic City history. 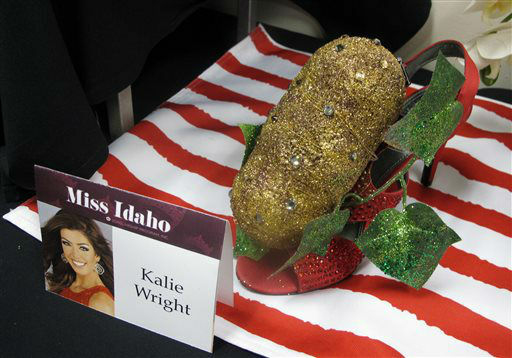 Miss Idaho has a potato, Miss District of Columbia honors the U.S. Marine Corps, Miss Florida has the Gators logo on her shoes and Miss Kansas has wheat on hers. 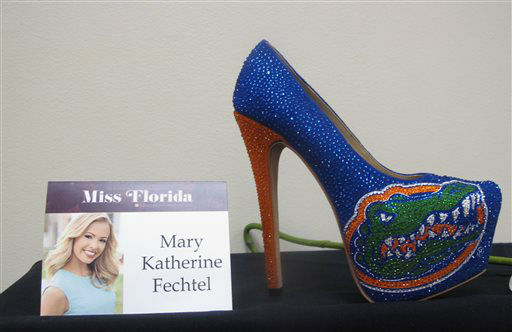 The most unusual design might belong to Miss Montana, whose shoes feature green dinosaurs. 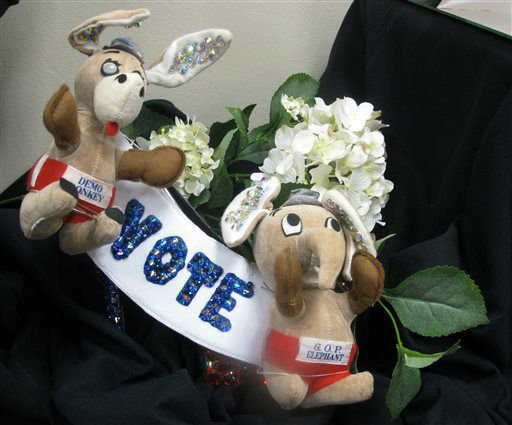 The contestants were driven down a wet boardwalk in convertible cars.